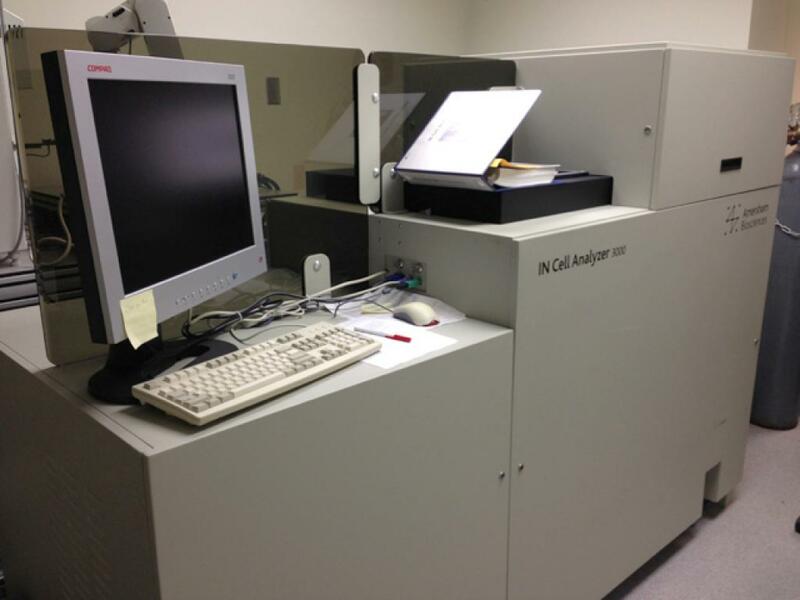 Global Online Private Treaty Sale of IN Cell Analyzer 3000 on behalf of Scientific Equipment Repair. 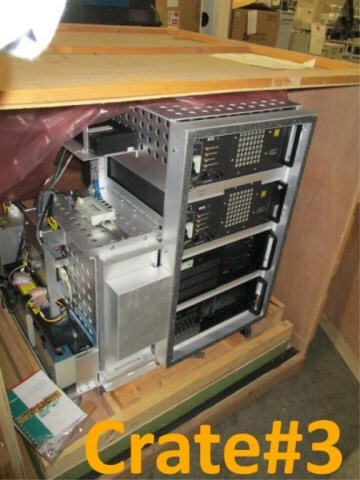 Amersham InCell-3000/Gen2 Subcellular Screening/Imaging Analyzer System (s/n-45114, Year-2005, Never Installed, Contents Of 4 Crates) (Note: An Internet Search Will Result With PDFs Of ‘General Info’ About Amersham InCell-3000 Systems’. 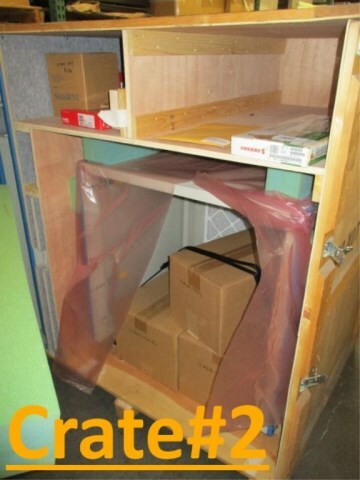 The Crates Of This Offered Lot Are Available For Physical Inspection). 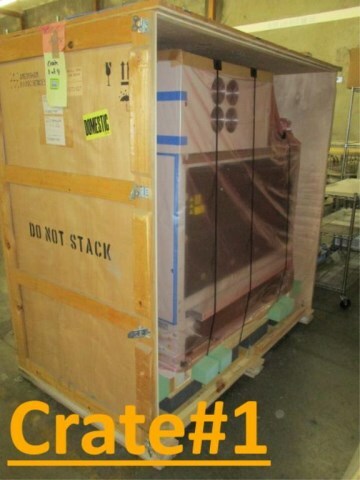 [(Crate#1 p/n-03943-443: Imaging System Main Platform Part-A)] [(Crate#3 p/n-0431-801revC: Imaging System Main Platform Part-B/ Extension Rack-Mount Section) (Rack Mount Console Includes: IPC #PCC-4184 Dual-Stack Industrial Computer With Portwell Robo-698A Motherboard) (Also Included CD Packet: Win2000NT CD ; Data Translation Imaging Omni CD ‘Vision Foundry p/n-20433’)] [(Crate#2 p/n-0431-790 & 0372-627: Sample Chamber Enclosure/Hood) (Also Includes Part Numbers: 0425-004 CO2 Sample Chamber Module#1 ; 0424-983 CO2/Fluid Pump Chamber Module#2 ; 0424-999 Visala HMW71Y Temp & Humidity Transmitter Assembly) (Also Included: 17″ Monitor ; Keyboard ; Mouse ; And 0410-540 Assembly Kit)] [(Crate#4 p/n-0434-419-03: Lydel Affinity E-Series Chiller) (Includes Various Hoses And Cables For System Assembly)] [Crate Footprints Approx. 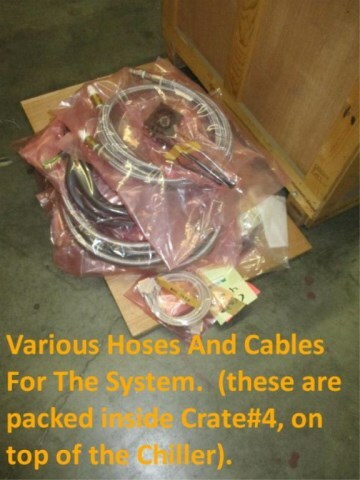 : Crate#1 6.5’Lx4’W ; Crate#2 5.5’Lx4’W ; Crate#3 4’Lx4’W ; Crate#4 4’Lx2’W]. HIT# 2097786. Loc: Row-8, Wall. Asset Located In Foster City, CA. 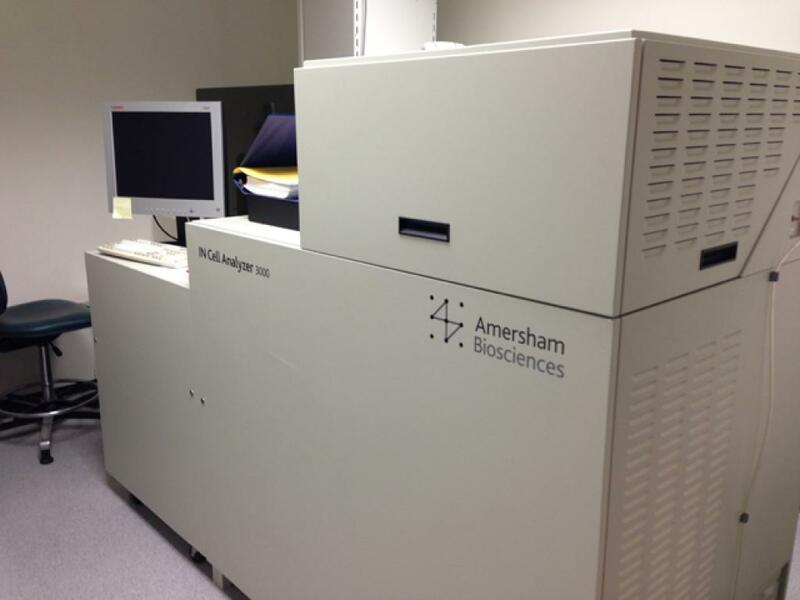 The Amersham IN CELL Analyzer 3000 is a purpose built sub-cellular screening system. Combining sophisticated scanning and optical technologies with high-throughput capacity, the system provides advanced multiplexing capabilities and real time, cell-by-cell image analysis routines for live- and fixed-cell assays. IN Cell Analyzer 3000 achieves high-resolution imaging and analysis through a combination of optimized confocal optical pathways, dynamic autofocus, and cooled digital cameras. The environment of the sample chamber can be set to maintain temperature, humidity, and CO2 levels at optimal cell culture conditions for live-cell assays. The graphical user interface combines flexible and intuitive software and analysis modules capable of rapid scan rates and quantitative data analysis. 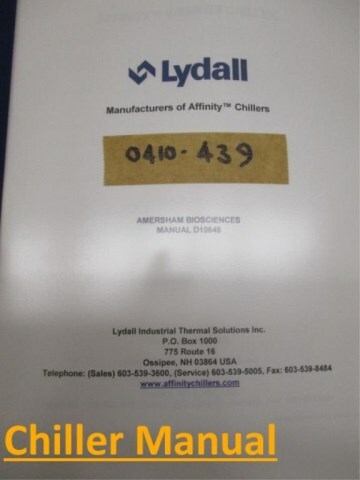 IN Cell Analyzer 3000 incorporates an infrared laser line that automatically detects the interface between the liquid in the well and the bottom of that well. The system then focuses the objective lens on cells that are in a user-defined focal plane above this interface. As a scan proceeds, tracking autofocus continuously adjusts the focus of the objective lens on this defined focal plane, ensuring that all scanned cells are in focus. This process reproducibly generates images that are optimal for high-content cellular analyses. 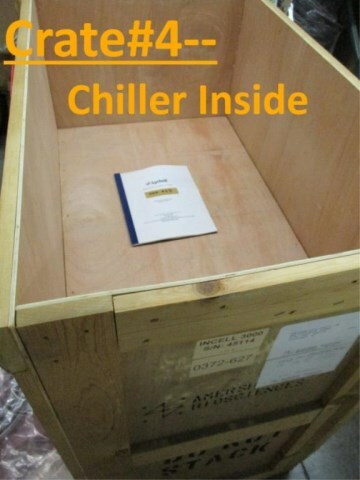 IN Cell Analyzer 3000 incorporates a sample chamber in which the internal environment can be controlled at 37 °C, 70% humidity, and 5% CO2 enabling live-cell assays to be performed in addition to fixed-cell assays. Live-cell assays yield more accurate information about a compound’s true effect within the living cell as opposed to information from assays that rely on enzymatic or nucleic acid binding data derived from in vitro assay systems.